To get better service in the USA, tipping is essential, but not so in Singapore where tipping is not allowed. But what do you tip on a cruise? It’s tough trying to decipher what to tip from country to country and many have no clue about how much much gratuity to leave or offer. From the hovering bell hop hoping for some reward for his trouble to the cold shoulder from the disgruntled maitre’d left or the aggrieved bartender it pays to find out what the norm is before arriving. For example, in Japan if you leave a couple of coins on the table, the waiter may chase after you to return your forgotten change, but in New York if you leave less than 15 per cent, good luck making a reservation in the same restaurant ever again! It is customary to leave 10% at restaurants. Hotels generally charge around 10%, but where that is not the case then tip housekeeping and porters 1-2 pesos for taking bags into your room. You can also tip the maid a few pesos every day and get a fantastic service. Taxi drivers usually do not expect to be tipped but almost everybody leave them the coins change. Tipping in Australia is starting to happen more frequently, but is still entirely optional. A 10% tip in restaurants is acceptable. It is not customary to tip taxi drivers but this form of tipping is on the increase as tourism to Australia grows. Tipping in Austria is less common than in North America or other parts of Europe, mainly because wages are decent and a service charge is usually already included in the bill. However, in restaurants you can tip 5-10% (depending on how fancy the establishment is), tip in cash handing money directly to the waiter. Saying “danke” when presenting your payment is the Austrian equivalent to saying, “Keep the change”. If you are not satisfied with the service, it is not unusual not to tip. Tip taxi drivers generally 10%. Tip porters 1-2€ per luggage, same for the chambermaid every morning. These tips aren’t necessary but appreciated for good service. Tipping is not very common in Belgium. Service workers are generally well paid and do not rely on tips. However, whether to tip or not depends on the situation. Restaurants usually add on 10-15%, but leave a few coins for good service. Where service is not included 15% tip is expected. Tipping is not the norm in hotels and in taxis, just round up the fare. Car park attendants receive 1€, cloakroom staff, 50c, toilet attendants 25c, and bar staff just small change. Tipping the taxi-driver is not required in Belgium, however, for exceptional service, leaving the coins change will be appreciated. Tipping 15-22% is expected at restaurants and hotels. Taxis get between 2-4% and 10% discretionary tip for bar staff. Most service staff in Canada expect something in the 10-20% tip range, depending on whether it’s French or English Canada, and how good the service is – if the service is really bad, leave a few cents and they should get the message. Restaurants usually charge 15%. It is appreciated to tip between 1-3$ per day porters, valets, and maids in hotels. Leave the tip on the bed or the side table. Tipping your taxi driver is expected, around 10%. It is customary that you leave a 10% tip. No more, no less. But! If the attention you receive is poor, then feel free not to tip. In any case nobody leaves more than 10%. You’ll never have to tip anywhere in China. It’s the one comfort from the fact that foreigners are generally thought of as filthy rich, and therefore charged a lot more. Most government operated hotels and restaurants prohibit the acceptance of tips, but it is sometimes expected at the bigger hotels and by younger service personnel in the more open cities. Use your discretion. In expensive hotels you may leave the bellhops or concierges $10 per item of luggage, but it is not expected. In Hong Kong a 10-15% charge is commonly added to the bill. In China, the taxi drivers do not expect a tip. Expect to be charged 10-15% at restaurants and hotels plus small tips for porters and housekeeping. Taxis don’t expect tips but cloakroom staff and toilet attendants expect 1€. Tipping is not common at all in the the Czech Republic. However, nowadays, tipping 10% is commonly expected for foreign visitors but only in touristic destinations such as Prague. Restaurants: as the economy grows tipping habits change. Service here is unlike in many other places in the world: do not judge the service by smiles but by promptness, quality, and the bill. Tipping with credit card is unusual. Tipping is not required for taxis in the Czech Republic. However, if you received an exceptional service feel free to round up the bill. Hotels: Tip 1-3€ porters, bell boys and maids. Tipping is not generally expected. It is not custom to tip in Denmark because wages are usually high. However, leaving a 10% tip is always appreciated. Ultimately, it is up to you whether you want to tip or not, especially in the case of exceptional service. In France service must be included in the price of a restaurant bill by law so no need to tip, although it is customary to round your bill to include a little more. At hotels leave 1-2€ for housekeeping and porters. This is not true of bars so you should use your discretion if you feel you have got particularly good service or not. Generally, it is expected to give porters 0.50€ – 1.00€ per bag, housekeepers 1.00€ – 1.50€ per day, It is customary to tip your taxi driver 10%. Tipping is not very common in Germany. Service is not generally included at restaurants but a discretionary tip of 5-10% is expected. At hotels housekeeping and porters expect 2-3€. Taxi drivers expect 10-15% tips. Most restaurants and stores, and even hotels, only accept cash in Germany. At restaurants a discretionary charge of 5-10% is expected. At hotels, a discretionary tip of 4-5% is the norm. Taxi drivers do not expect to be tipped. In hotels, it is customary to tip the porter/bellboy around 1€ per bag. Tipping is very common in Hungary. Tips are generally around 8-15% in restaurants. Tipping in hotels in not very complictated, you have to virtually tip anyone you come into conctact with. Tip 10% taxi drivers. 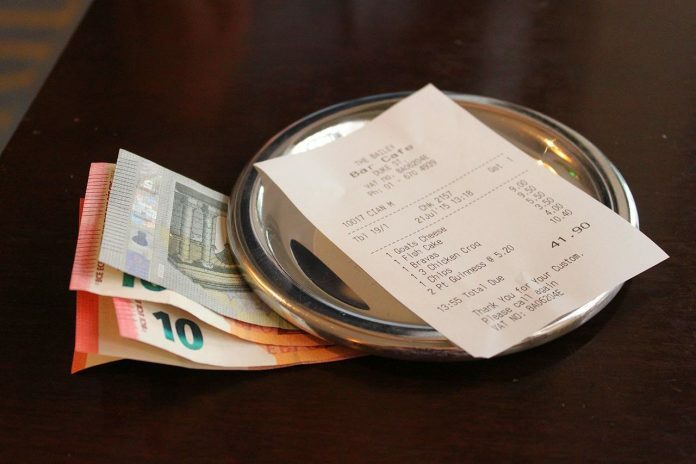 Tipping is not de rigueur in Ireland, however it is customary to tip of between 12 and 15% in restaurants or hotels, if there is not already a service charge included. If you receive good service then a 10% tip would be about the right amount for taxi drivers, porters and hotel staff. No tip is expected in restaurants throughout Italy, as you will normally be charged a coperto (cover charge) on top of your bill. However it will be much appreciated if you have had a good service to leave a bit extra. At restaurants expect to pay 10-15% tips. At hotels a discretionary tip of LM5 for housekeeping and for porters and bar staff LM1 is adequate. Taxi drivers expect LM 1-2. Every one else between 10-50c. Tipping in Netherlands is not really expected. However, rounding up the bill in restaurants is common. Restaurants charge 10% but where service is not include leave a tip of 10%. At hotels, tip as you please but taxis expect 5 per cent or round up the fare. Tipping taxi drivers is not common but you can leave 1-2€. New Zealanders are usually paid good wages so a tip will be a good suprise. Tipping is not part of the culture unless service is exceptional. However, as Americans continue to visit, tipping is becoming more and more popular. In Portugal tipping is common only in the very touristic areas such as Lisbon and Algarve. At restaurants leave around 5%. Hotels tend to charge between 5-19%. Where service is not included leave the concierge and porters 2€. Taxi drivers expect 5-10%. Most restaurants include a service charge at a rate of 5-10%. Where not included leave a tip between 5-10%. Hotels charge around 5% but where it is not included leave housekeeping and porters 4-5 Lei per day. 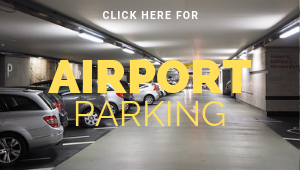 In taxis, round up the fare and cloack room, car-park and toilet attendants expect between 2-3 Lei. Restaurants charge anywhere between 5-20% service charge but where they don’t, leave between 10-25% tips. Hotels charge 5-20% but a small tip is expected by porters and housekeeping. Taxi drivers don’t expect a tip. Tip in cash, many restaurants don’t accept credit cards. According to government notices in the Lion City, tipping is not allowed. Officials encourage tourists not to add to the 10% service charge that many high-end hotels include on the bill. Hotel porters are one exception to the no-tipping rule, as they usually receive a couple of dollars for lugging bags. In Spain most restaurants and bars will expect to receive a tip from tourists, although it is really still a matter of personal discretion. Bills will usually include a service charge in restaurants and as a general rule if you are served a drink in bar at your table you should leave a small tip, as with porters and chambermaids in your hotel. A 10% tip is generally expected. Hotels will charge this amount, but where they don’t tip the concierge, bar staff and housekeeping 100LKr and porters 30LKr. Taxi drivers expect 10% or up to 100LKr for a short journey. Car park and toilet attendants and bar staff expect 50-100 LKr. It is not very customary to tip in Thailand. Some places expect it and others don’t. In general, the more Westernised the place is, the more likely you’ll be expected to leave a gratuity. Cabs are now metered in Bangkok, so there’s no haggling over your fare, but local custom is still to round the fare up to the nearest five baht. This country is the tipping capital of the world where not tipping can easily offend. Restaurants in the USA usually call for a 15-20% tip, which supplements a normally meagre wage. This is true of everyone in the service industry, so the rule is, if someone helps you out, from porter to bar tender it pays to leave a small tip! What about tipping on cruises, coaches and all-inclusive holidays? Passengers are a captive audience on a cruise ship and tipping is imperative. This is often a cause for stress and embarrassment. Most cruise brochures have a guide to recommended gratuities but it is pretty random and varies. 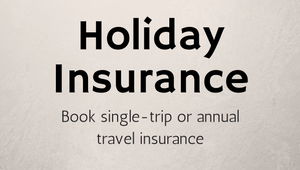 Budget for an extra £85 per passenger on a two-week cruise. Many cruise lines also add a 15 per cent charge to any bar bill and sometimes add $10 for a general kitty. There is no standard etiquette for tipping the driver. It is really up to you but some say anything between £5-£30. Travel agents generally agree that tips are not necessary on an all-inclusive holiday, except at the a la carte restaurant. If your bill includes a service charge, then don’t fill out credit slips with space left for a gratuity – don’t pay this twice.